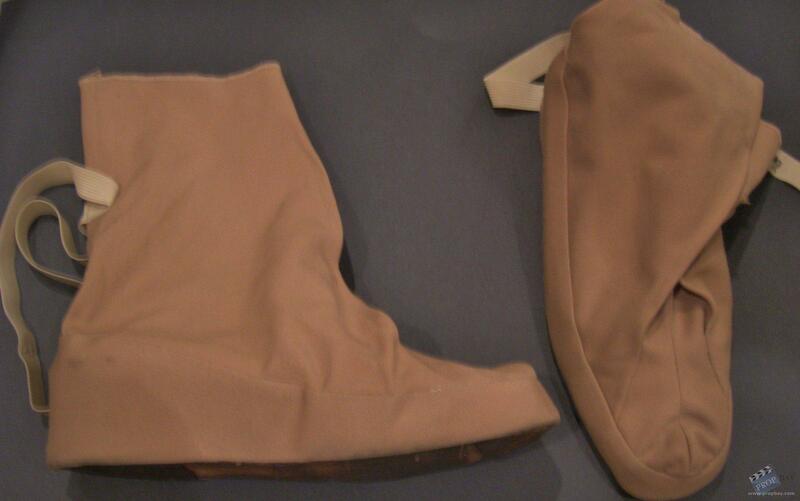 This is a costume featured in Star Trek I: The Motion Picture worn by Jeri McBride, listed in the credits for the feature as "technician". The costume is a tan Class-B short sleeved Starfleet uniform top with an unattached bio-monitor and matching trousers with unattached matching shoes. The sewn in Western Costume Co. tag reads "Jeri Mc Bride" and some minor stains from production use are apparent on the uniform top. The chest patch is a replica chest patch purchased to complete the uniform, otherwise everything else you see is screen-used! Added: 05-20-2013 - Viewed: 1784 times.